Have you ever been on a river cruise? Are you thinking of taking a European river cruise and looking for first-hand information from someone who already has? 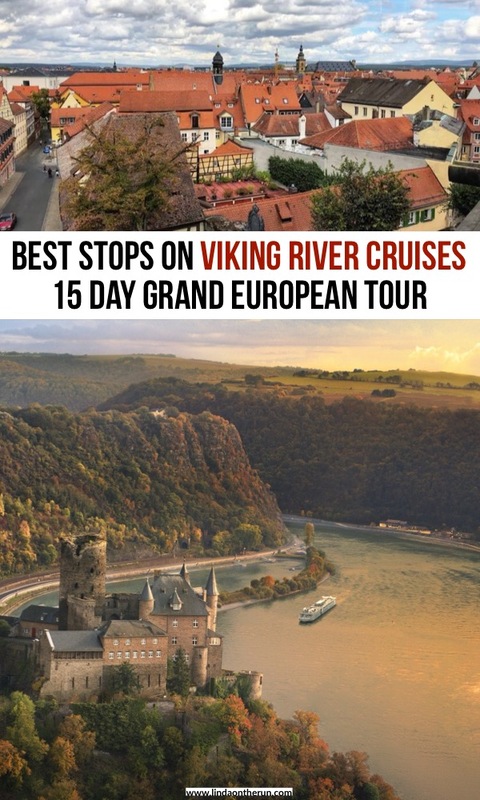 Well, look no further because I sailed the spectacular 15 day Viking Grand European river cruise and it was definitely the trip-of-a-lifetime. 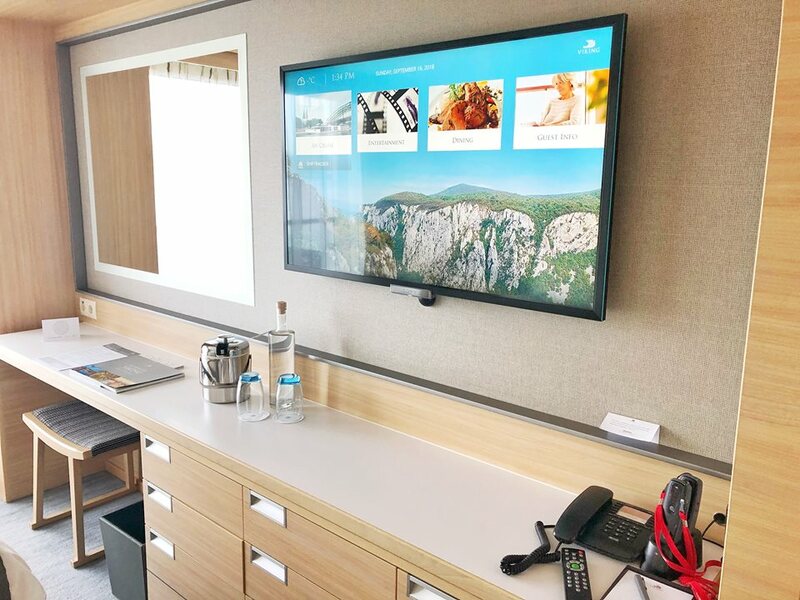 From the moment we began working with the Viking liaison in the comfort of our homes until boarding our international flight home in Budapest, Viking made every step of the way, every decision as easy as possible for us. 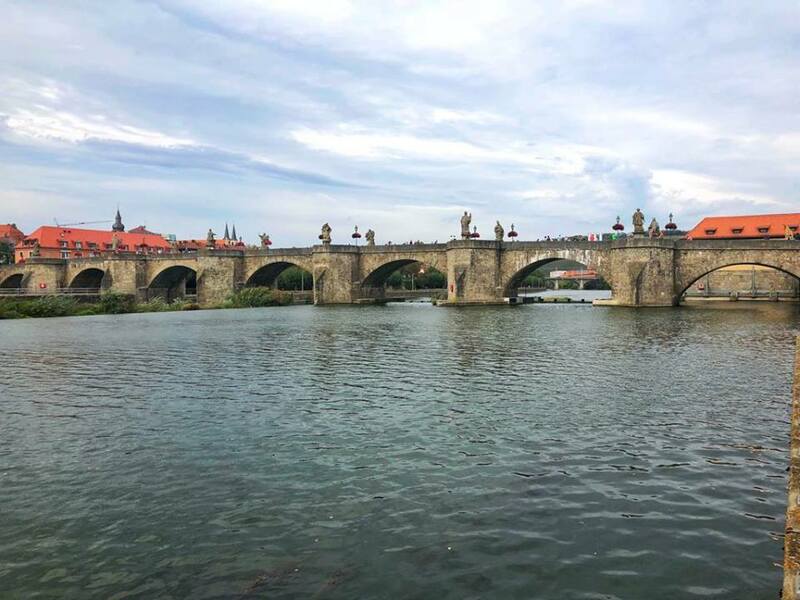 Here I will share with you just how simple and effortless it was to book and plan for a Viking river cruise, and how decadent and simply delightful the cruise was! My sister Robyne accompanied me on the Viking Grand European Tour river cruise. As soon as we selected our cruise, we were immediately assigned a Viking consultant who handled everything for us. We were notified of her name, email and phone number by an email, and from that point on we used Cathy as our “go to” person with any and all questions we had. AND WE HAD A LOT! We were directed to create an account at MyVikingJourney.com. It would turn out to be a personalized account created by us to keep track of our trip and the specific tours, excursions, and decisions we had made for our trip. Fifteen days was a long trip and there were many decisions to consider. At MyVikingJourney.com everything was accessible online at one convenient location. There was a question and answer section that had tons of information right at our fingertips to access that saved us a lot of time and angst. We were sailing on the Viking Baldur. Baldur is the Norse God of Light and Joy. First off, after we decided on our cruise and dates, we needed flights to Europe. Our Viking representative Cathy, took care of that. We simply gave her the dates we chose to fly and which airport we preferred to fly out of and Viking took care of the rest, and our flights were VERY reasonable. Be sure to check with your travel agent or Viking directly about packages which include airfare, or discounted airfare. Amenities like this may change frequently. Next decisions were about selecting excursions while on the river cruise. At every city along the Viking Grand European Tour, included tours are offered free of charge. On our customized Viking website, there were detailed explanations about each tour, along with what time of day it was taking place, how long it would be, and the exercise intensity. I signed us up for all the included tours. On the website, most day’s explanations included videos of the areas we were scheduled to visit. They really helped a lot in the planning process and to heighten the anticipation. Viking made everything as easy as possible right from the start! Next, we carefully read about the optional tours being offered. Usually, they did not conflict with the included tours but were in addition to them. There was an additional cost for them, some nominal and some a bit more. We also had to decide if we wanted to purchase the Silver Spirits Beverage Package for our Viking Grand European Tour. House wines, beer, and soda were complimentary during lunch and dinner, beginning at the daily 5:30 pm cocktail hour, but if we wanted cocktails or premium wines or a drink at any other time, we considered the beverage package. At first, we decided no, but at the very last minute, we changed our minds. 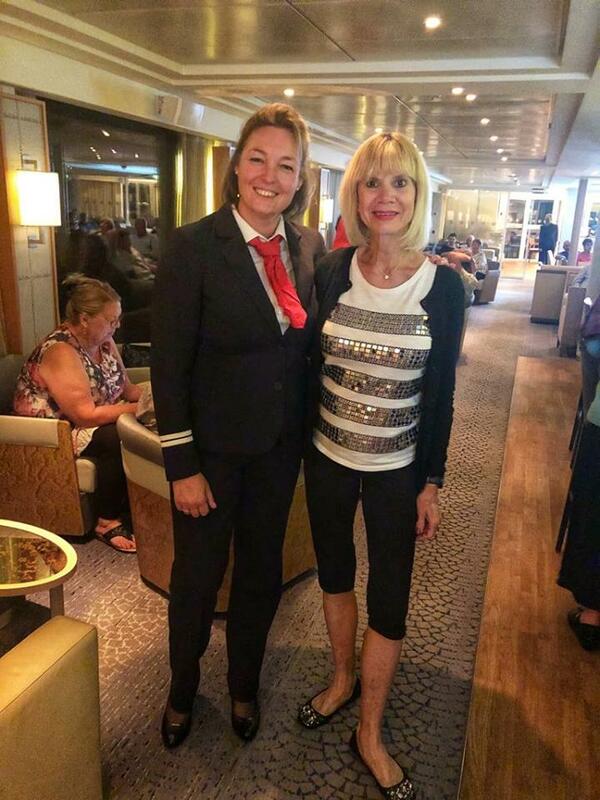 We were literally on the runway in Atlanta flying directly to Amsterdam to begin our odyssey and all it took was a quick email to Cathy our Viking rep and it was in place upon our arrival on the Viking Baldur on Sunday afternoon in Amsterdam. Now that was service! 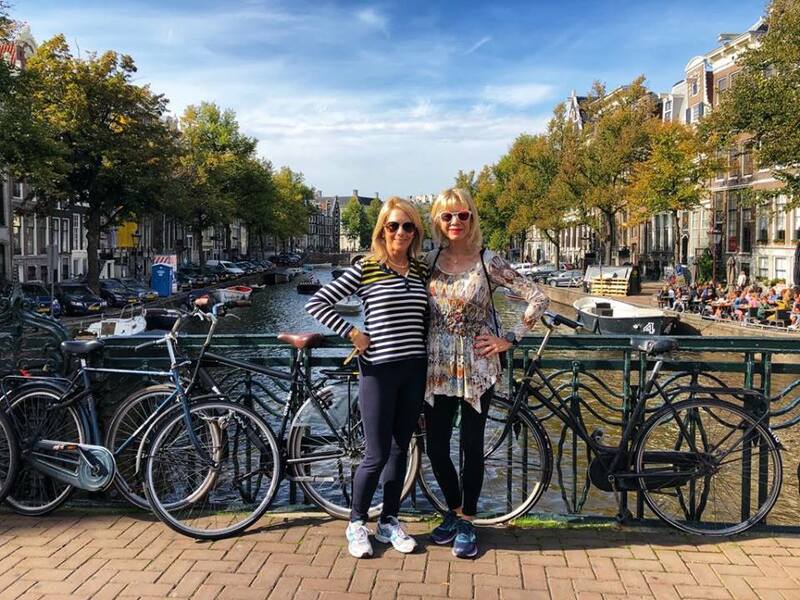 Because of the 6 hour time difference, Robyne and I decided to fly to Amsterdam, Holland a day early to explore the city and catch up on our rest. It was our responsibility to get ourselves to the embarkation dock location. 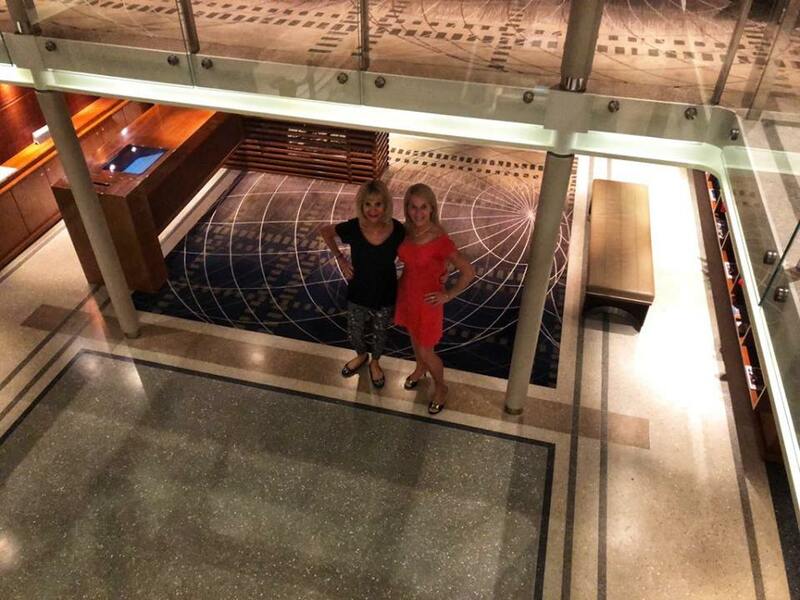 I received an email from Viking 48 hours before we left the USA, notifying us of the specific cruise dock location for our Viking Grand European Tour, where the Viking Baldur would be located. Robyne and me enjoying exploring Amsterdam. From our hotel in Amsterdam, it was a quick walk to the metro station and a very quick ride to Central Station, where we very easily located the cruise docks. Viking Cruise Lines had a large canopy in its signature red color, that was very visible and easy to spot. The officers of the ship were all under the canopy to warmly greet us new passengers, and to direct us to our ship, the Baldur. We checked in about noonish. 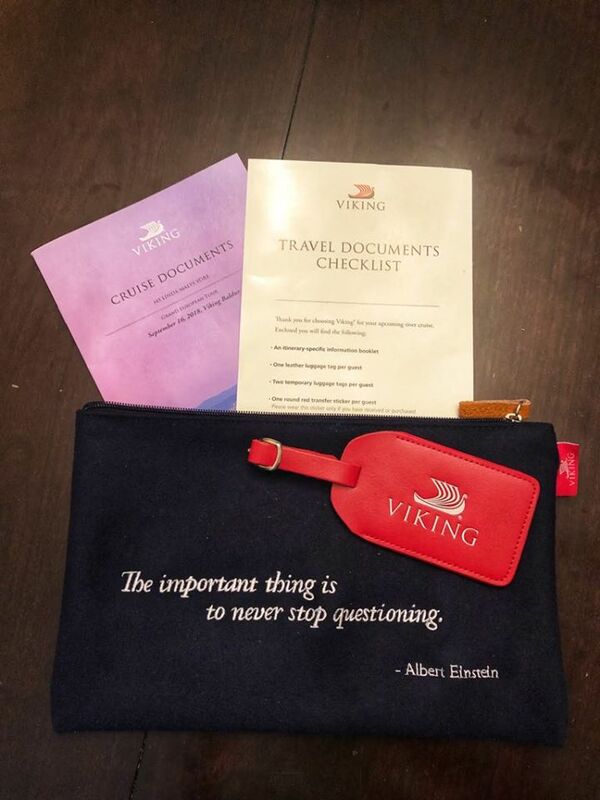 We had placed the specific Viking luggage tags we received while still at home on our luggage in the morning, that had our names/room numbers on them, for our bags to be delivered to our stateroom. 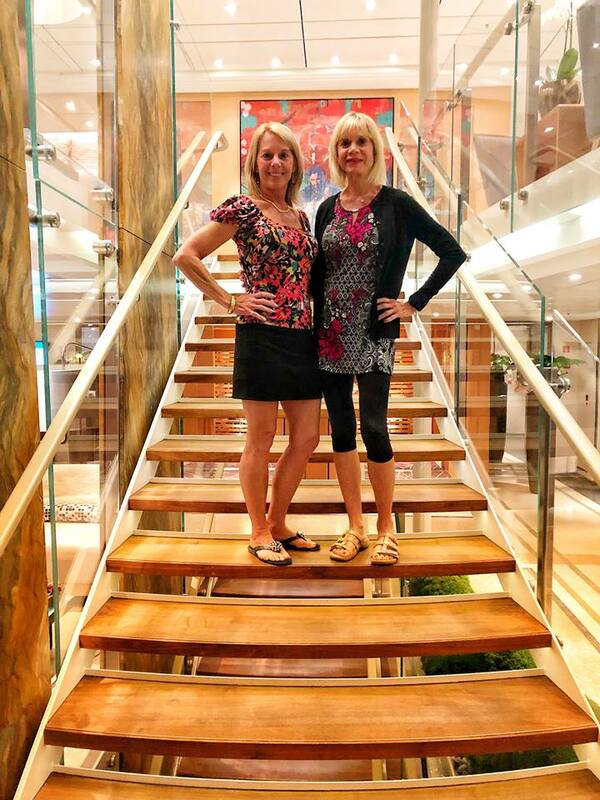 Then we headed to our cabin to see where we would be living for the next 15 days on our Viking Grand European Tour. We couldn’t wait to see it. 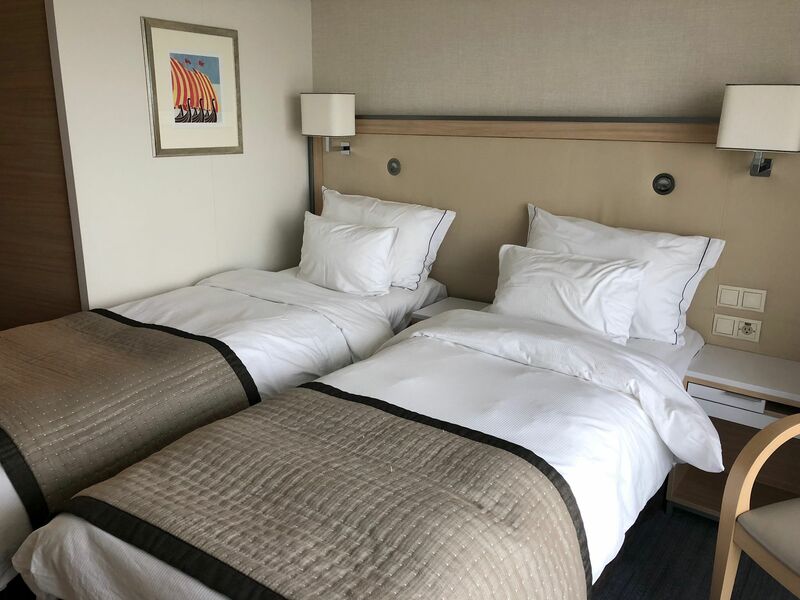 We had plenty of room in our stateroom on our Viking Grand European tour. And we were not disappointed. We had a verandah room with a walk-out-onto balcony (which we ended up using a lot during the cruise!) There were two chairs and a table for our convenience outside on our balcony. We used the balcony in our stateroom every day to enjoy the scenery that we passed by. The room itself was very spacious. My sister and I wondered how we were going to tolerate each other for 15 days in a very tiny space. No worries- there was ample space for each of us, with plenty to spare. We could walk around our beds, and there was storage space galore. The drawers were huge, and the closet fit as many clothes as we wanted to hang. We each had 9 hangers and hung multiple items on each, and everything easily fit into the closet for us. More hangers could be obtained simply by asking the staff. 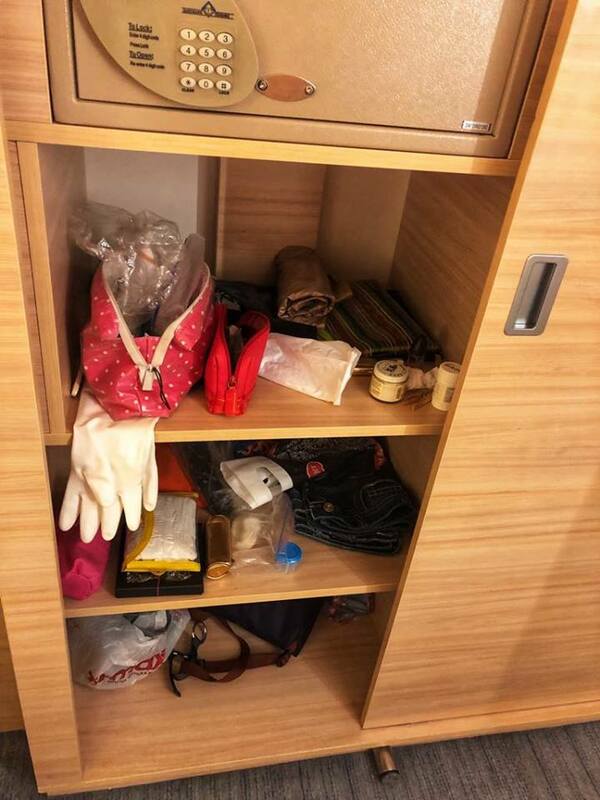 There was a safe located in the closet and shelving which we eventually utilized for more storage. The closet had ample space to accommodate just about anything you would bring for your Viking Grand European Tour. We utilized the stateroom safe the entire duration of our trip. 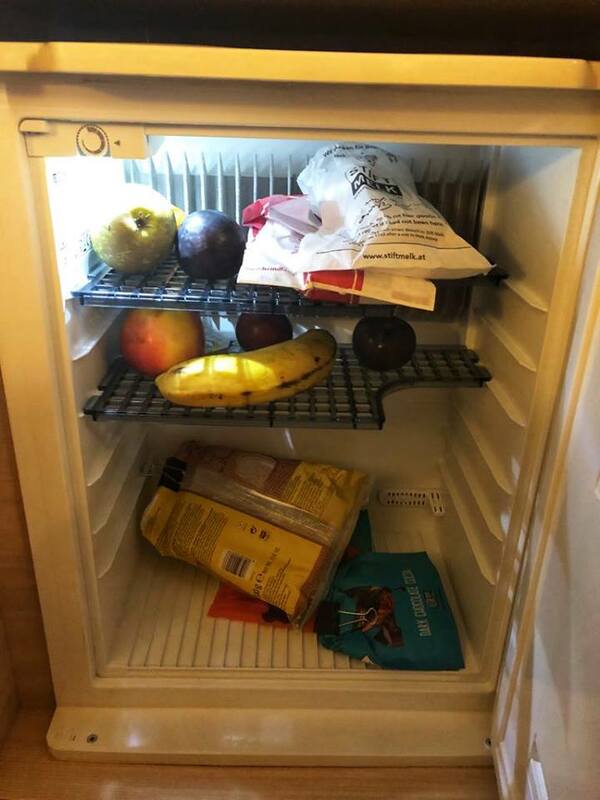 We were very pleased to have a small refrigerator in our room. We used it every single day for storing water and fruit. And candy, and snacks! Thank you, Viking for the refrigerator. We used it every day! The bathroom a modest size but very elegant and with amazing storage. Definitely enough for two women for two weeks! There was a nightlight that turned on automatically when all the lights were off, and that was a comfort to me. No fumbling or stumbling to get to the bathroom during the night. 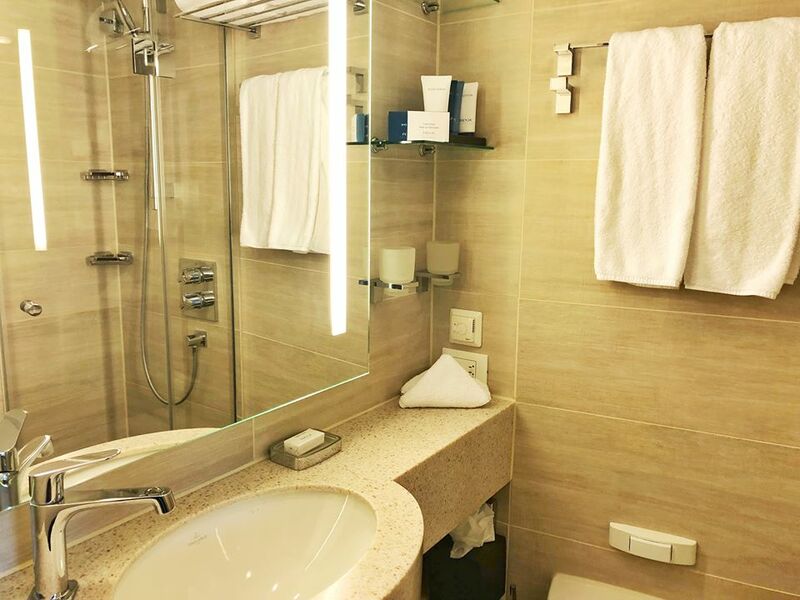 Our floor tiles were heated, and there was a retractable clothesline in the beautiful walk-in shower which ended up being a lifesaver as we washed our lingerie often during the Viking Grand European Tour. Plenty of storage in the bathroom. There was a large flat screen television with enough selections that we did not feel like we were out of touch with the current events. The choices were: live TV (an ample selection of news outlets), a whole slew of movies, and all 6 seasons of Downton Abbey! There was a mandatory safety video that had to be watched first before the television was “unlocked.” There were also features where we could track the position of the Baldur. Look at all that storage! Our QuietVox hearing devices are in their charger on the far right. Next, we headed to lunch! A buffet luncheon was served on the Aquavit Terrace. It was just what we needed. We met some of the crew, met the Maitre d’, introduced ourselves and informed him I was a vegan, and Robyne was gluten-free. Salads, sandwiches, soup, and desserts were served and were all delicious. After lunch, and a quick stop to our cabin where we discovered all of our luggage had been delivered, we headed off into Amsterdam for more sight-seeing. Lunch was spectacular in the Aquavit Terrace! This was our hangout every afternoon for lunch. If we had chosen, we could have taken 1 of 2 Viking guided welcome walks excursions through Amsterdam, or attend a wine and cheese tasting party on board during the afternoon. Later that afternoon, we embarked once again to our home away from home for the next 15 days on our Viking Grand European Tour and unpacked. We had lots of space for everything and stored all of our luggage under our beds. There was space enough to store the huge suitcases under our beds which left the room looking spacious and orderly and welcoming. 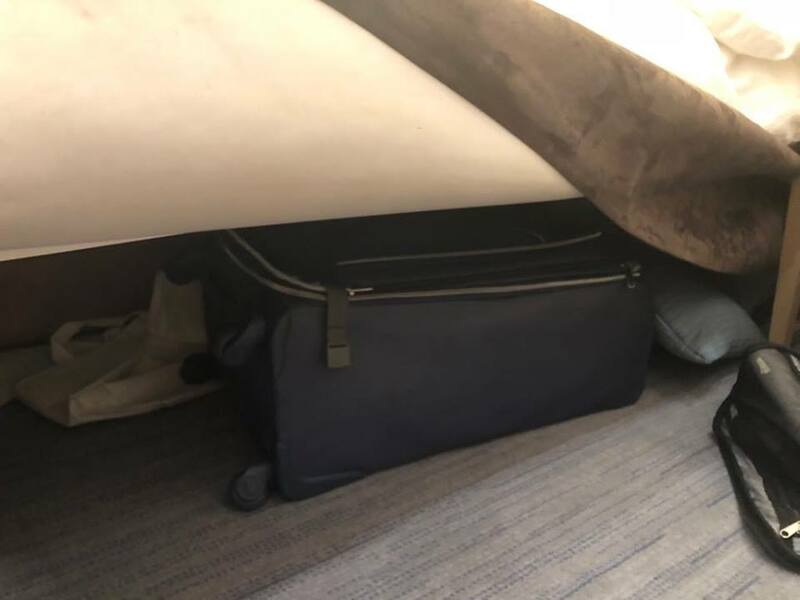 My large checked suitcase easily fit under my bed and was out of the way the entire trip. There was an official Welcome Briefing where we were introduced to the officers of the Baldur and given a brief explanation of life onboard for the next 2 weeks. Here I am with the officers of the Viking Baldur. Every evening, we could choose to have dinner in two different locations: in the main dining room, or in the more casual and much smaller Aquavit Terrace. 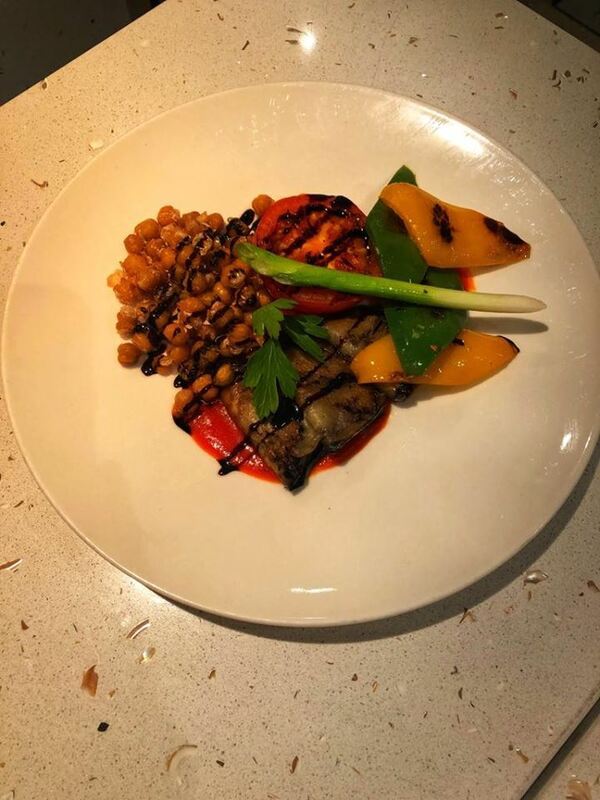 Both locations served the same food, it was simply a matter of how we felt, which place we chose to dine at. The first evening we chose to eat in the main dining room. It was festive and fun and we sat at a table for 6 that began lifelong friendships. After dinner, we headed up to the lounge for music and dancing. It was a long day for most of us, but the duo playing music was lively and there was a great group of our fellow passengers having a good time. And we were no different. This was the perfect way to end our first day of our Viking Grand European Tour! The Viking Baldur departed Amsterdam at 11:30 PM and we were on our way officially! Every morning there was a variety of ways and places to have breakfast. 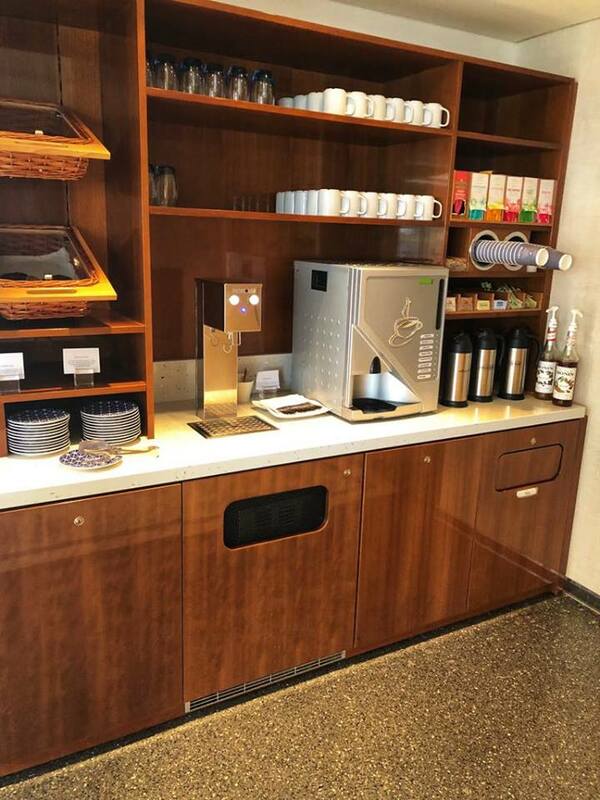 First, there were two coffee stations where you could make your own choice of coffees where pastries and muffins were available. 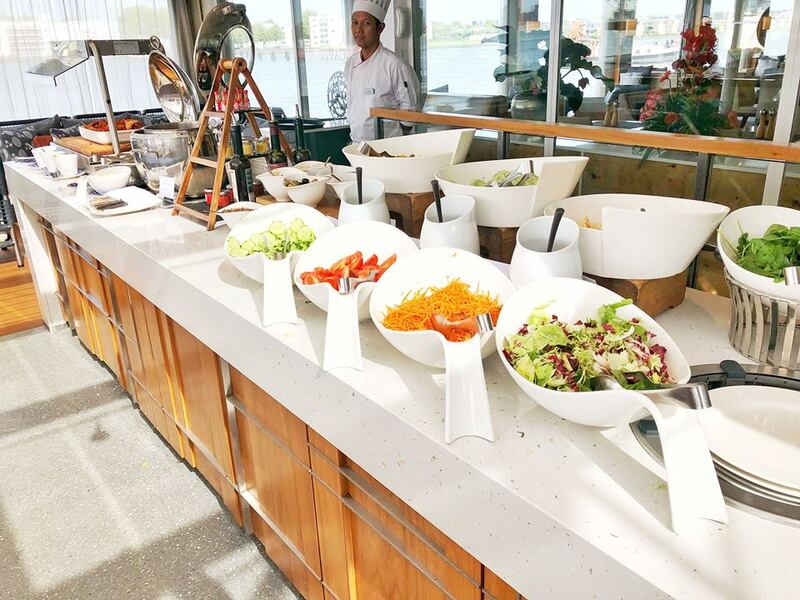 You could choose a continental breakfast on the Aquavit Terrace, or a warm buffet breakfast with a wide selection of made-to-order options cooked right there for you in the dining room. Made to order hot meals were available every morning in the Viking Baldur’s dining room. There were two coffee stations. Coffee, tea, pastries, muffins, and water were always available. Our program director extraordinaire, Tessa, would come on to the overhead loudspeaker every morning greeting us a “Good Morning” in the native language of whichever country we were in. She would remind us of the day and date and the city we were docked in. And recite briefly the excursions for the day. On Day 2, we selected the Viking included shore excursion: Kinderjdijk Windmills. It is a UNESCO World Heritage Site. Much of Holland is below sea level and Holland has a grim history of flooding with her citizens losing their lives, their homes, and their livelihoods. So with a unique network of windmills and water management techniques, Holland is now able to successfully deal with the seasonal rising waters and prevent future disasters. We were surprised to learn that the Amsterdam International Airport is 20 feet below sea level! 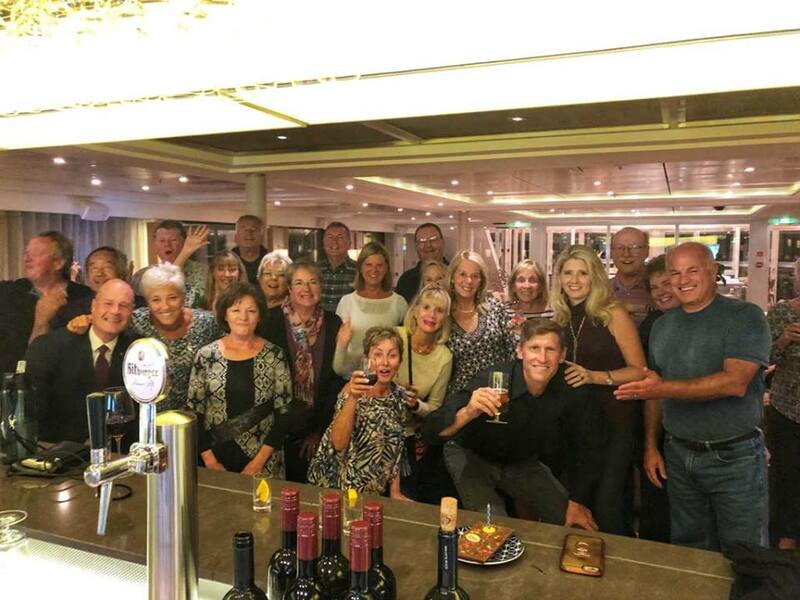 To manage a group of 186+ passengers efficiently, Viking divided us into groups of about 25 or so, and each group had their own local guide narrating. Each guide carried a “lollipop” a round disc in Viking red on a handle the guide held up for us to see. The Viking Baldur was ship #20, so guides escorting us carried “lollipops” with Viking 20 and either A, B, C etc for the exact group we were assigned to. In order to hear the guide, we used QuietVox audio receivers (with headphones). We brought them with us on mostly every tour. In order to activate them, we had to touch the tip of the receiver to the lollipop for each tour. The windmills and the history and the story of Kinderdijk were immensely interesting. We were given a short and humorous history by our guide, Kaas, and walked past flood control devices. We walked through the Holland grasslands past several windmills. 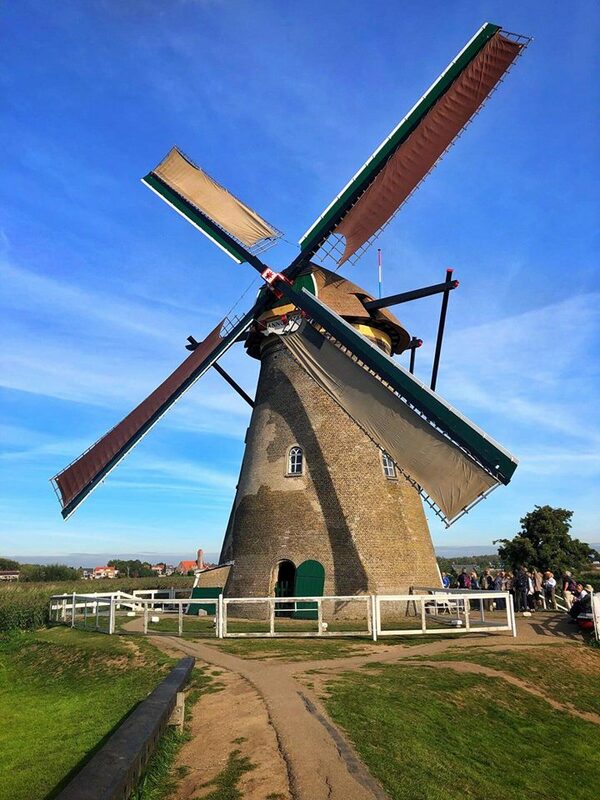 And finally, we were brought to a windmill where further information was given to explain in detail the windmill and how it worked and were even permitted to tour the inside of the windmill. It was very interesting, but what a hard life it must have been back in those days. This is the windmill we were able to tour inside when our Viking Grand European trip visited Kinderdijk, Holland. When our tour was complete, we were all back on board from Kinderdijk by 10:30 AM and we set sail for Cologne, Germany shortly thereafter. The rest of the day was spent aboard discovering what the Baldur had to offer and getting to know our fellow passengers. At 2:00 PM we had the mandatory muster drill. We located our life jackets under our beds, donned them, and met at our specific designated location on the top deck. Later that afternoon, we had the option to tour the wheelhouse and meet the captain, which Robyne and I definitely took advantage of. The instrumentation was amazing and we learned so much about the waterways and all the barges and boats that passed us on either side and from either direction. Every evening our program director, Tessa, would meet us all in the lounge at 6:45 PM, right before dinner, for her port talk. She would give an overview of the next day’s excursions and answer specific questions from passengers. This became a nightly social event and a lively gathering among the passengers. Robyne and me toasting during cocktail hour during our Viking Grand European tour. 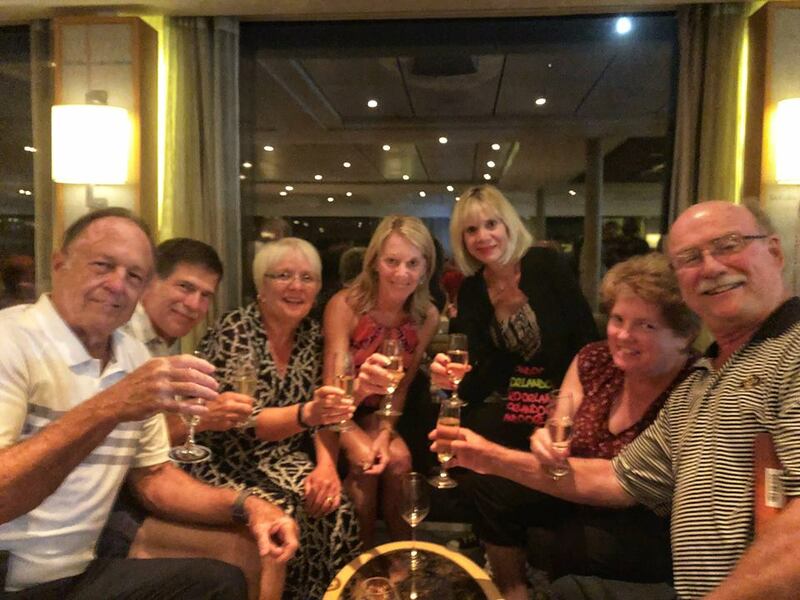 This evening we were officially welcomed aboard with champagne toasts (or mimosas!) by Captain Marcin and the hotel manager Marcello. Such a warm welcoming and bonding experience. Dinner and dancing rounded out the rest of the day for us. 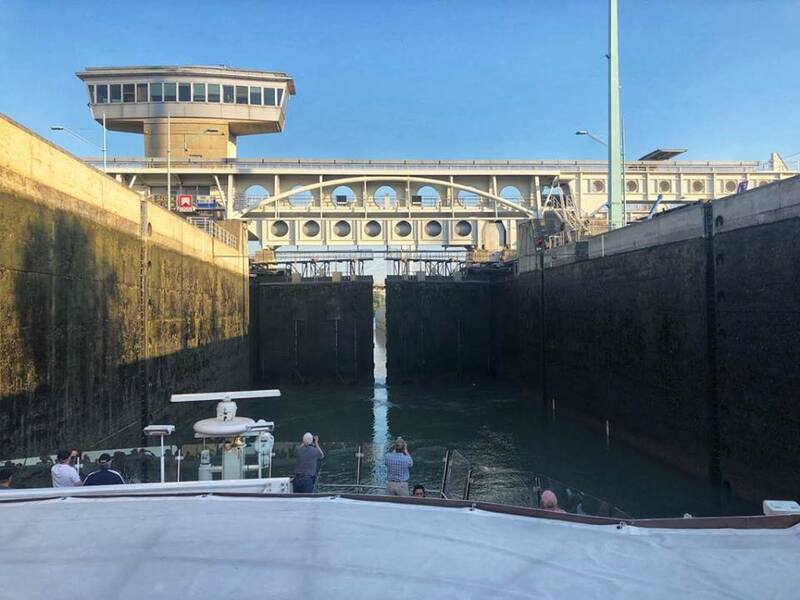 On our way from Amsterdam to Budapest, the Viking Baldur was going to pass through 68 “locks.” Locks raise or lower boats connecting waters of different levels through countries that are not level. The Rhine, Main, and Danube Rivers pass through countrysides of distinct and different elevations and locks were a necessity for boat traffic. The rivers of Europe are used today as superhighways, transporting and delivering goods throughout Europe. I was surprised at the traffic on the European rivers and the size of the boats/barges we sailed past. The locks were indeed an unusual experience. Here you can see by the watermarks on the walls how much we were lowered to match the water level on the other side. The gate was opening for us to continue. Upon leaving the Baldur guests stopped at the Reception Desk to pick up several things: a red plastic card which identified which group we were assigned to for the specific tour we were heading out for. Ours was always “20” because that was the Baldur’s number. Whether we were heading out for a walking tour or being transported via coach, we looked for the corresponding number either on the guide’s lollipop or on the dashboard of the bus. Also we picked up a card with our name on it, that had to be returned as soon as we stepped back on board the ship (this is how the staff kept track of who still was not on board) and a card with the specific docking location of the ship, in case we chose to linger longer in town or had a language barrier issue with a local or simply could not find our way back. It also had the program director’s phone number on it, and could simply be handed to any local and they would be able to direct us back to the ship. 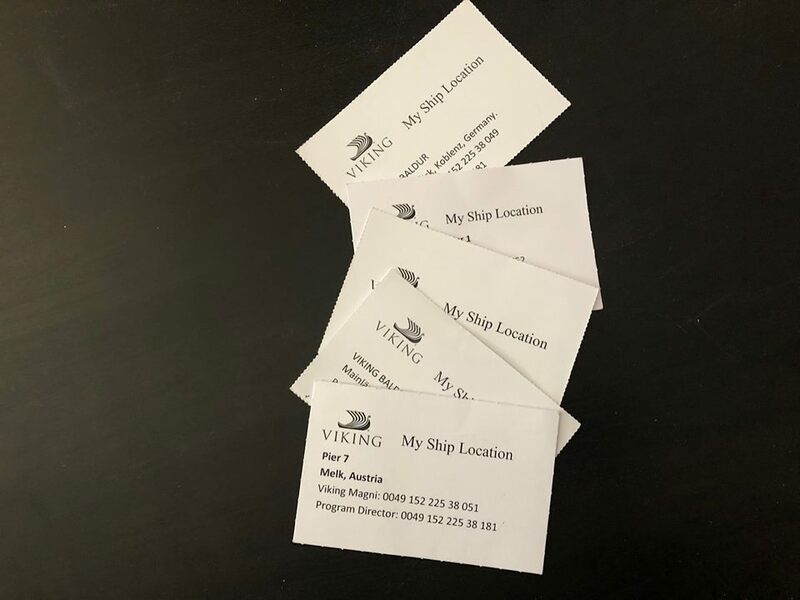 We never left the Viking Baldur during our Viking Grand European Tour without taking our ship’s local address card. In Cologne, Robyne and I chose the Viking included Cologne Walking Tour. 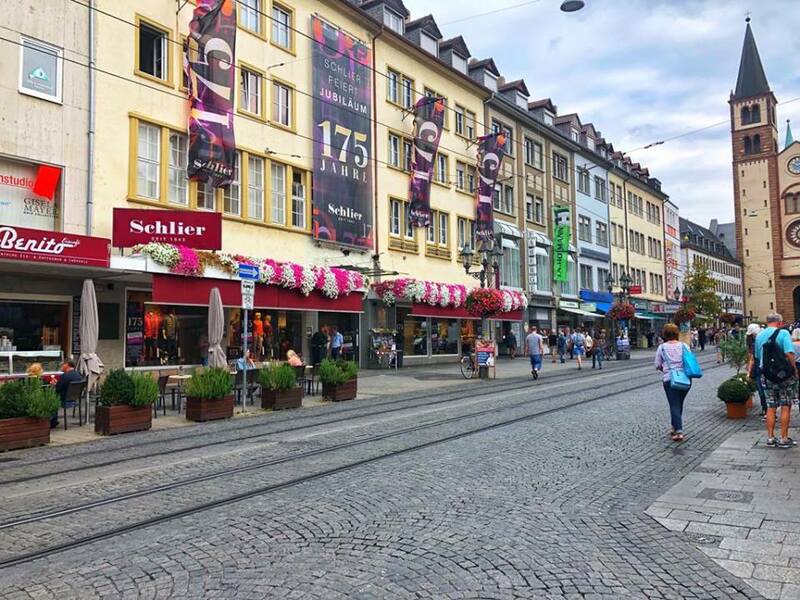 We were transferred to Old Town Cologne via motorcoach and dropped off one block from the main square, which was in front of Cologne Cathedral, the Cathedral of St. Peter. 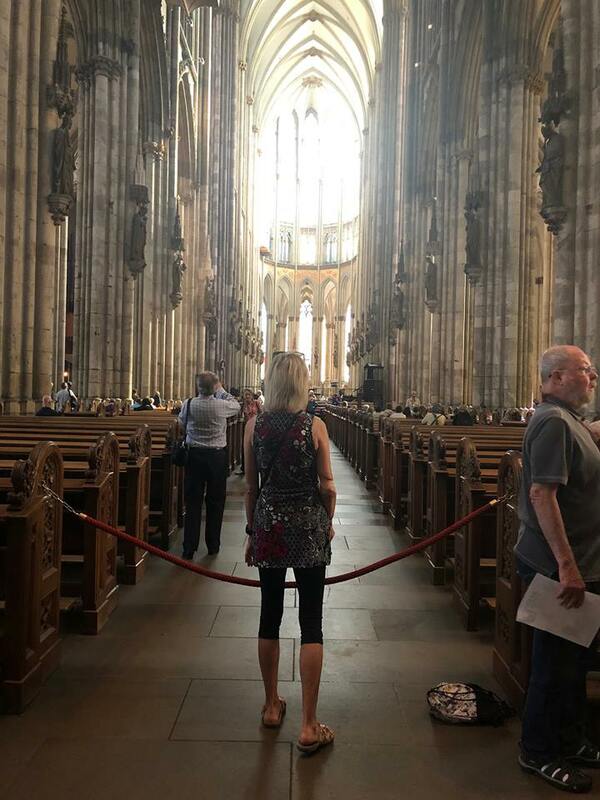 After we met with our guide and activated our listening devices to his lollipop, we began with him narrating a brief history of Cologne, and then we entered Cologne Cathedral. It was certainly a tourist attraction and very crowded. 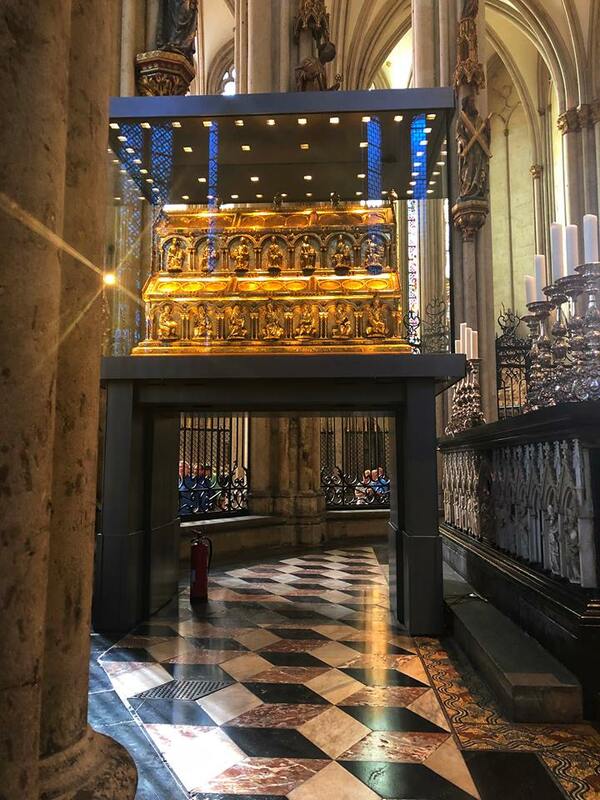 But the beauty of the church shone through and we were able to make our way to view the relics of the Three Wise Men of the Bible. The high altar of the Cologne Cathedral was very inspiring. We then took a walking tour of Old Town Cologne and learned more of its history from our guide. He also pointed out the best beer gardens and shops to look for quality souvenirs. Some of our friends elected to stay and explore Cologne after our tour was over, but we decided to head back to the ship via the coach. After lunch on the Aquavit Terrace, we had a few minutes to freshen up, before we left for an optional Viking tour of the UNESCO designated Bruhl Palaces. To delve deeper into local culture and treasures, Viking offers exceptional optional tours, which come with a price tag because they are specially arranged tours. Before my Viking Grand European Tour, I was not especially knowledgeable in European architecture. But that quickly changed with the tours Viking provided and the locations we visited. The Bruhl Palaces were a prime example, and my first, of the Rococo style, very ornate and playful. The palace was commissioned by the Archbishop Clemens August in the 1700s. The grand staircase defies an explanation, so beautiful it was. Each room was more ornate, more beautiful using the Rococo architecture. Unfortunately, no picture taking was allowed, and several security cameras monitored each room and hallway. The spectacular Bruhl Palace outside Cologne, a UNESCO World Heritage site. The adjacent hunting lodge was equally impressive with its lavish Rococo style but on a smaller scale. Each room was more stunning than the one before it. And finally, the gardens and park did not disappoint. They were exquisite and unbelievably manicured. Flowers were still blooming and the trees stood at attention and in beautiful symmetry surrounding the gardens. The smaller but no less impressive Bruh hunting lodge displaying the lighter Rococo style. 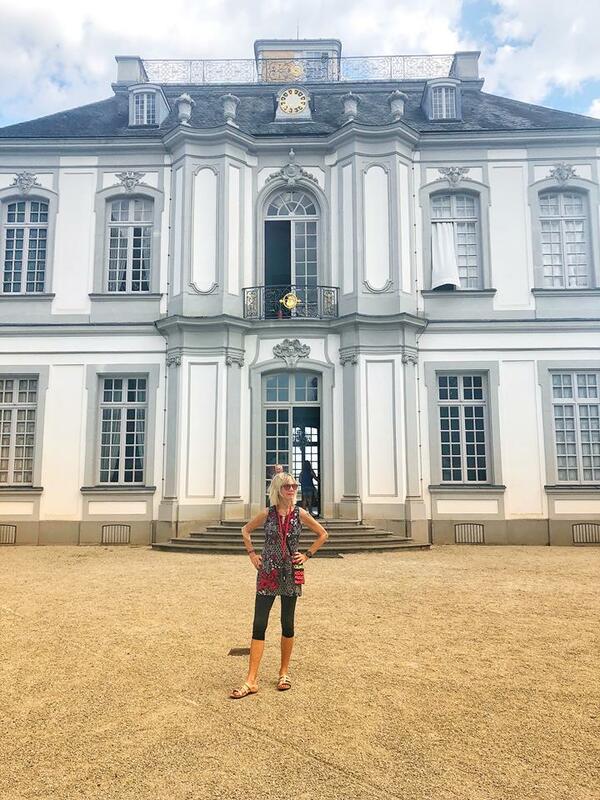 The decision to visit the Bruhl Unesco Palaces, and to peer into the unbelievable life of a prince-archbishop was a great one for us. I would highly recommend this optional tour to anyone taking the Viking Grand European Tour. While on board, Viking offered quality enrichment opportunities for us. This day there was a local who spoke about modern Germany in the Baldur lounge. After dinner, local musicians entertained us with a classical music journey by famous composers. While not all the opportunities would interest all guests at all times, I can say with certainty, all presentations were with experts in their fields, who were engaging, interesting and charming. We tried to attend as many as we could. Good evening from the Viking Baldur’s grand staircase at the end of Day 3 of our Viking Grand European Tour. Viking does a spectacular job offering daily excursions for all physical abilities. Every day, whenever possible, there was a “gentle” walking excursion for those who had difficulty ambulating or were in a wheelchair, or simply didn’t feel up doing a longer walking tour. Today’s included shore excursion on our Viking Grand European Tour was described as strenuous. On tap, was climbing up to Marksburg Castle, a 700-year hilltop castle with simply the most fantastic views! We boarded our Viking motorcoach to Marksburg Castle at 9:40 AM. Upon arrival, we began the trek uphill to the castle. It was steep enough, with many uneven cobblestones to negotiate. While I highly recommend this Viking excursion, during your Viking Grand European Tour, please wear sturdy closed-toe shoes for support, and you will be more than fine. The history of the fortress-castle was amazing. Our guide took us through many rooms with interesting explanations and stories about the people who lived there in the past, but the torture chamber with its instruments of death definitely was one of the more interesting ones. Yikes! Marksburg was never intended to be a palace but was built to protect the town of Braubach below it. During its history, it also became a prison and housed infirmed soldiers. Robyne and me after the Marksburg Castle tour, admiring the view of the area from 550 feet above. After the guided tour we had time to ooh and ahh at the views from around the top. The Middle Rhine below us was spectacular. Here we were able to see first-hand what a summer of record high temperatures and lack of rain did to the depth of the river. Sandbars were evident in several places. 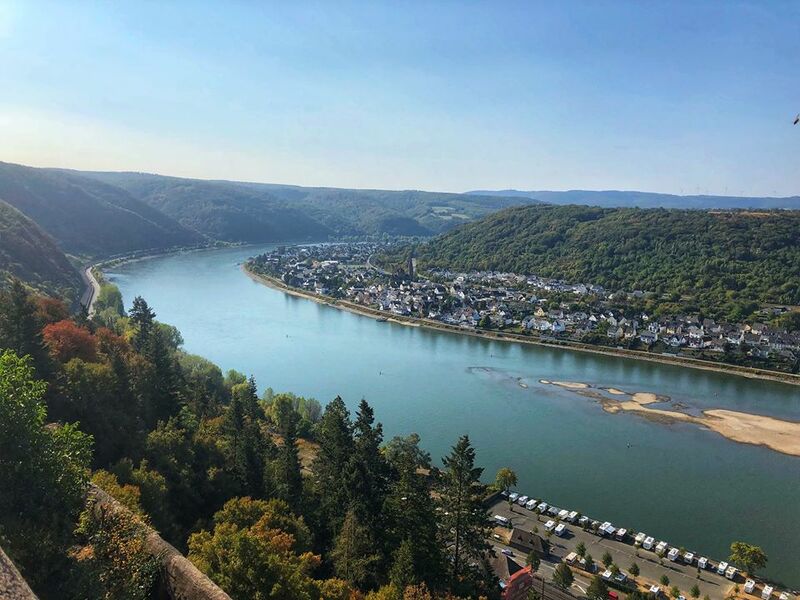 The beautiful and very scenic Middle Rhine River from Marksburg Castle during our Viking Grand European tour. The walk back down the side of the 550-foot high mountain was all paved and much easier to do. Again, I highly recommend sturdy shoes to help with stability and balance. We arrived via our Viking motorcoach to the Viking Baldur in Braubach just in time for lunch. 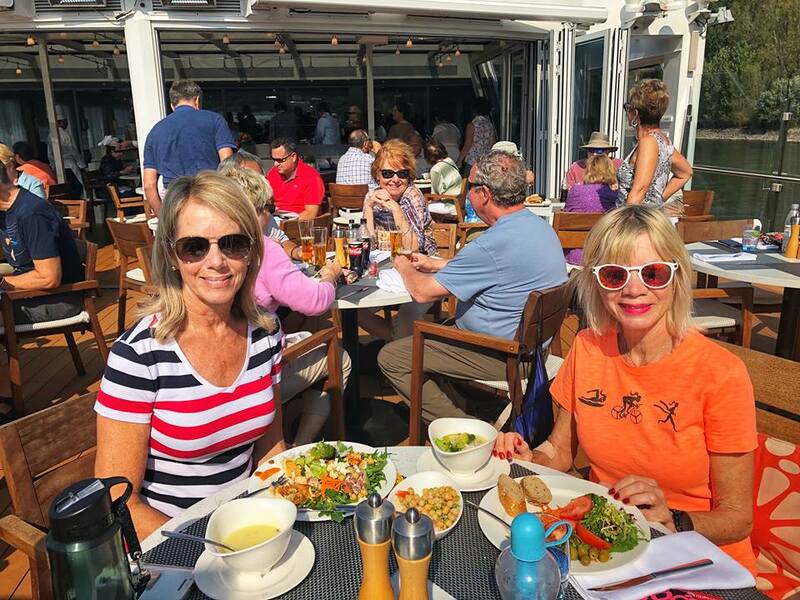 Here we are having a lovely lunch out in the brilliant sunshine while cruising the Middle Rhine on our Viking Grand European Tour after visiting Marksburg Castle. Wouldnt you like to do this too!? Our afternoon would be spent sailing through the scenic (just like you see in travel magazines!) Middle Rhine River, also referred to the Romantic Rhine. We passed bucolic countrysides full of hillsides covered in vineyards, what a remarkable sight! Then there were all the castles, like out of a fairytale. To help us understand it all, Tessa narrated for several hours as we sailed the afternoon away. So inspiring, so unique, so unbelievable is this scenic region, it has been designated a UNESCO World Heritage Site. Robyne and I made use of the walking track on the top deck during our Viking Grand European Tour, especially this afternoon during such scenic cruising. We were so grateful that Viking provided a walking track for guests. We met some of the nicest fellow-travelers out on the walking track! 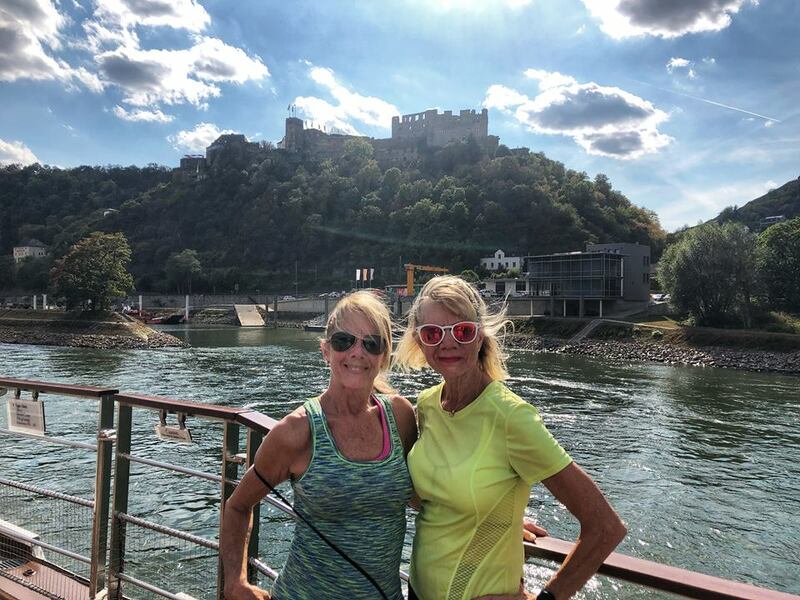 Look at the castle above our heads we saw while out exercising on the walking track on a beautiful and sunny afternoon during our Viking Grand European Tour of the Middle Rhine. There were other options that afternoon for our entertainment and enrichment. Robyne enjoyed the live demonstration on how to make Rudesheim Coffee: coffee, brandy, sugar, whipped cream, and dark chocolate. Can you even imagine such deliciousness?? Of course, she had a cup! In the late afternoon, there was German teatime: tea and a variety of German pastries. Oh gosh! We were certainly being spoiled. And we were never bored-all the options presented to us for our enjoyment by the Viking staff took care of that. There were several games in the lounge after dinner during the course of our Viking Grand European Tour that were immediate bonding experiences for the guests. Run by Tessa, our program director, we got to know her better and she got to know us better as well. This night it was a movie trivia game. It was so much fun, and everyone laughed a lot. Unbelievably, we were on the winning team, the “Movie Mavericks!” The prize was a bottle of wine, which we immediately opened and toasted to our success! Here we are the Movie Mavericks toasting to our success! Such a fun experience. We sailed all morning through the lovely German countryside, so we used this opportunity to sleep in! Mid-morning Tessa hosted a presentation in the lounge all about Germany and even taught guests a few German words. The Viking Baldur docked at Freudenberg to transport us to Miltenberg for our tour. Very convenient! 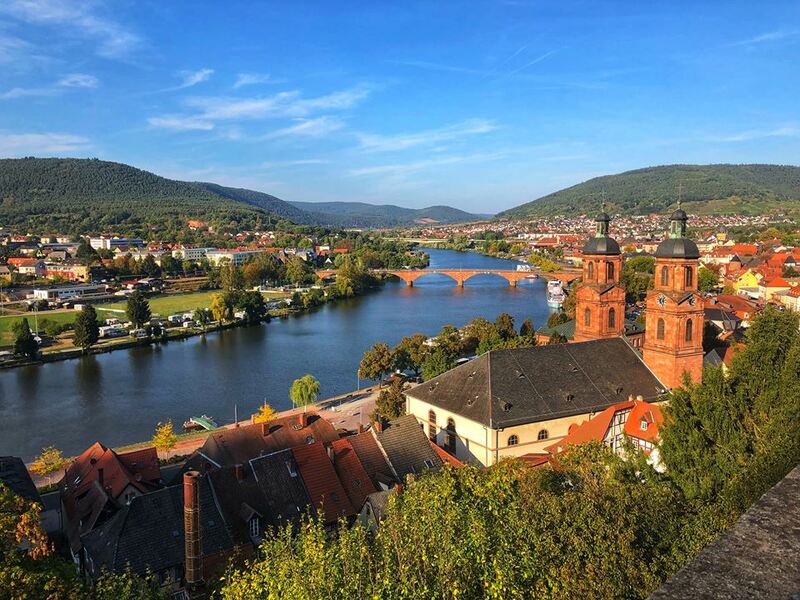 Miltenberg was a charming German village, just the kind I envisioned. It was so unique with its half-timbered houses and quaint cobblestone streets. One of the highlights of the town square was the Zum Riesen Inn, Germany’s oldest inn, opened in 1411. 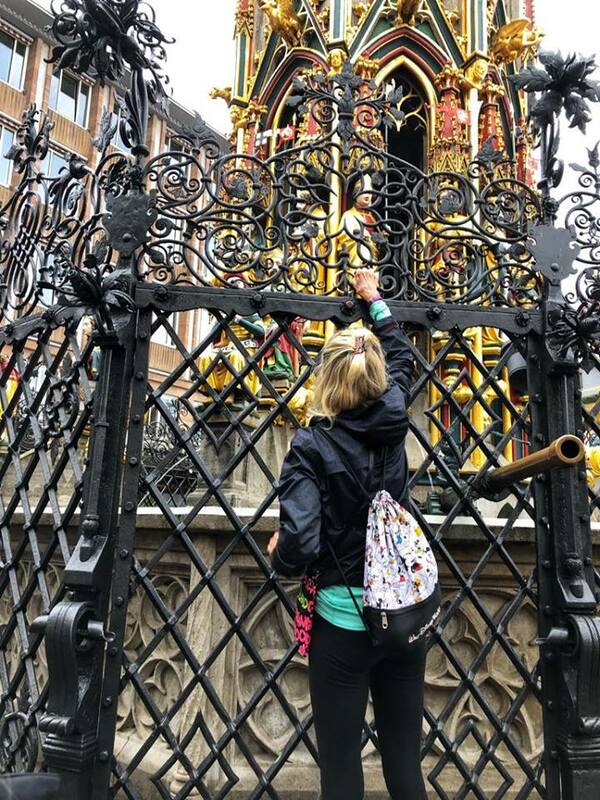 After our wonderful guided tour, we had time to walk around the town square on our own, until we had to meet our program director Tessa to head back to our coaches and back to the ship. I appreciated the free time to explore cities on our own during our Viking Grand European Tour. We were able to head back for a missed picture opportunity, or go into an interesting shop for a special souvenir. 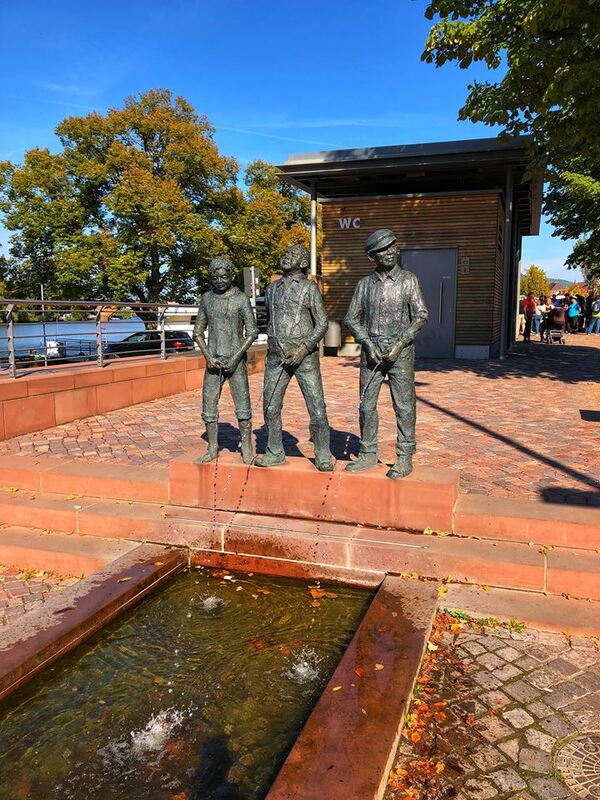 Yes, a rather unusual and interesting Welcome to Miltenberg fountain! When back on the Baldur, we attended cocktail hour in the lounge, followed by Tessa’s port talk, dinner, and closed off another fantastic day dancing to the music of Alessio and Sara in the lounge. As I mentioned, there’s never a dull moment during a Viking Grand European Tour! 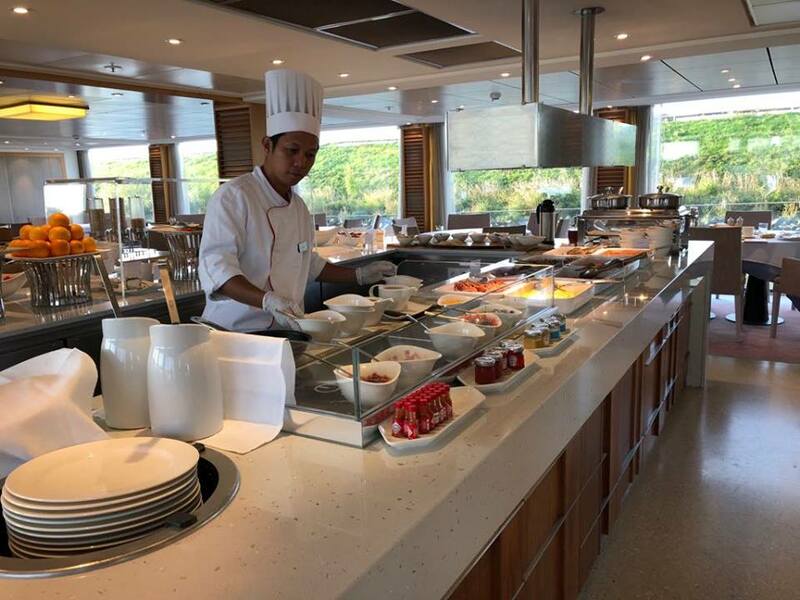 Viking Cruise Lines has consistently earned culinary awards for its outstanding food. As a vegan, I never once worried about what I would eat. This is my entree after a very busy day in Miltenberg. Epic deliciousness. Our included tour today, Wurzburg Residenz and Walking Tour began at 9 AM. The motor coach ride was only 10 minutes into town. We toured the historic city center and learned all about the Franconian wine vineyards located around Wurzburg. Also, the city was very heavily damaged during World War II. My first lesson on the ornate baroque architecture was during our tour of the Bishops’ Residenz palace. The opulence of the palace was striking. Because this is one of Germany’s largest and most ornate palaces, it has been given the designation of a UNESCO World Heritage site. The opulence was unparalleled. No picture taking was permitted and I was sad, because there was so much to see, to process. The grand staircase was magnificent, and the ceiling fresco in the grand main hall, representing 4 continents was unbelievable. The rooms, each more stunning than the ones before or after it, were breathtaking. The unbelievable thing is, during WWII, the curators of the palace, instinctively knew there was imminent danger of Wurzburg’s bombing, and dismantled and stored as much of the precious chandeliers, tapestries, paintings, and furniture as they could. After the bombings, which did strike the palace, there was a renovation and all the beautiful artifacts were restored to their original locations for generations to come to enjoy. After our coach ride back to the Baldur, we had the afternoon free to do as we pleased. We chose not to go on any additional optional tours of the area, including the Marienberg Fortress. So after lunch, Robyne and I decided to head back into Wurzburg. It was a pleasant walk, and we shopped the afternoon away. We appreciated the free time and the opportunity to explore on our own. 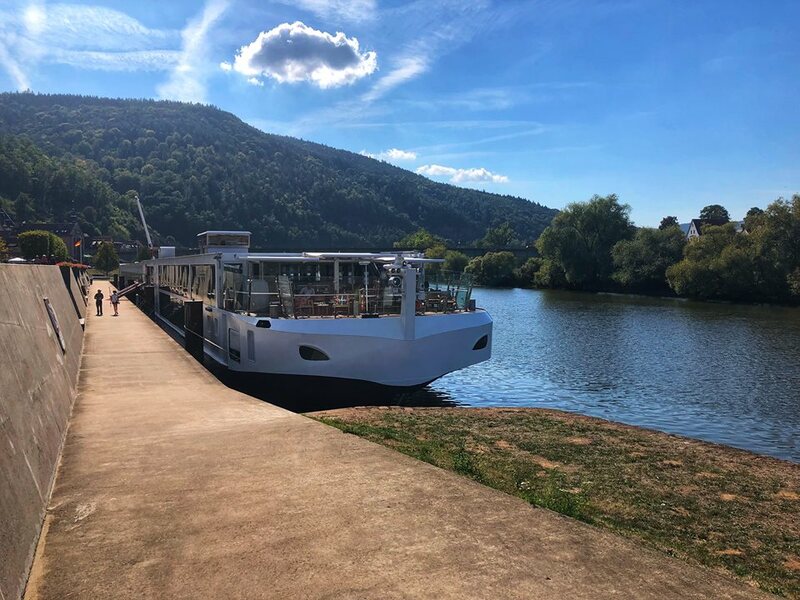 The Baldur was docked on the Main River, just outside of the Wurzburg city center. I used the late afternoon hours to get in a quick 4-mile run. My route, suggested by Eddie, at the Baldur reception desk, was along the Main River, through tree-lined streets and shaded parks. It was epic. That’s the way to run! I appreciated the encouragement and suggestion from Eddie because I was running by myself in a foreign country and did not know the area. He recommended the best route for me. I was reassured and had no worries for my safety. Cocktail hour was a highlight and a daily ritual for both of us. We were getting to know our fellow passengers better as we visited with them every evening in the lounge to discuss how our days went. Robyne and I decided to purchase the optional Silver Spirits Beverage Package, which included cocktails, mixed drinks, and premium beers and wines. The Baldur bar staff provided us with unparalleled service. They made and served us our drinks perfectly as we preferred them, and always offered us those calorie-laden cocktail nuts we so craved right before dinner! During our Viking Grand European Tour, we were reminded of the low water levels of the rivers we were traveling on. We could SEE how low the waters were. From high atop our perch when touring Marksburg Castle we could see the sandbars in the Middle Rhine River. This evening during the port talk, Tessa informed us the water level was too low for the Baldur to pass any further along past Nuremberg. That was sad, for several reasons. First off, no one wanted to pack up everything and move to another ship. Secondly, and more importantly, we came to know and love our staff, and we did not want to leave them. Tessa would accompany us, but the staff would all stay with the Baldur. Here I am with Tessa, our program director, in the Viking Baldur lounge. Tessa spent time explaining that Viking had an identical longboat, the Magni, which was traveling in the opposite direction and would not be able to pass through the same area. So, we would simply switch ships. No excursions (save one) would be impacted. After a myriad of questions which Tessa patiently answered, we all understood that the low water levels due to higher than normal temperatures, along with lower than normal rainfall were responsible for our situation and everyone accepted the transfer graciously. We would be transferring ships in two days. 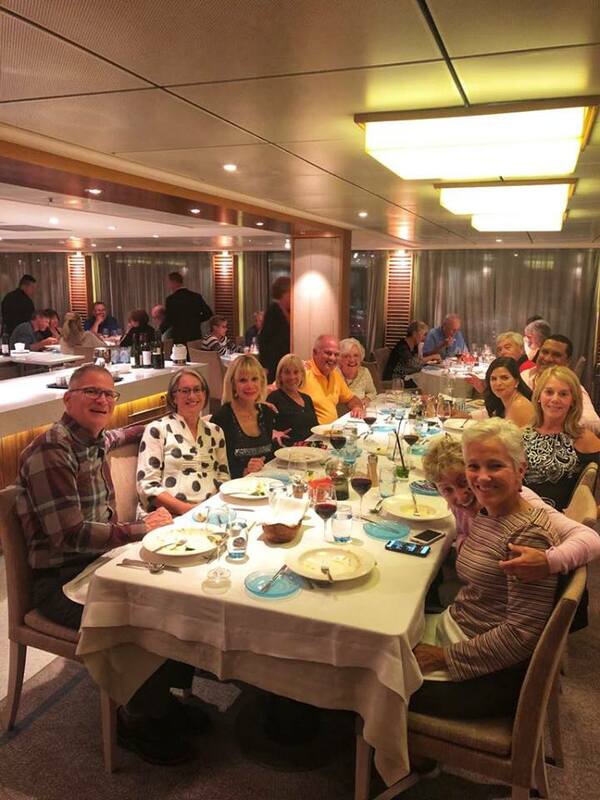 Dinner in the dining room after a busy day on our Viking Grand European Tour cruise! After dinner, Tessa conducted another game in the lounge called Majority Rules. We were on another team with different passengers we got to know a little better, laughed a whole lot, and our team came in 3rd place. Another simply wonderful day full of epic events during our Viking Grand European Tour of a lifetime! We were sailing this morning, and Robyne and I took advantage of this and slept in. After breakfast, Robyne began packing, and I headed to the lounge for a live demonstration of glassblowing. By now, I had come to realize that every enrichment presentation by Viking on our Grand European Tour river cruise was an expert in their field of the highest caliber, who was highly engaging, and captured and kept our attention. 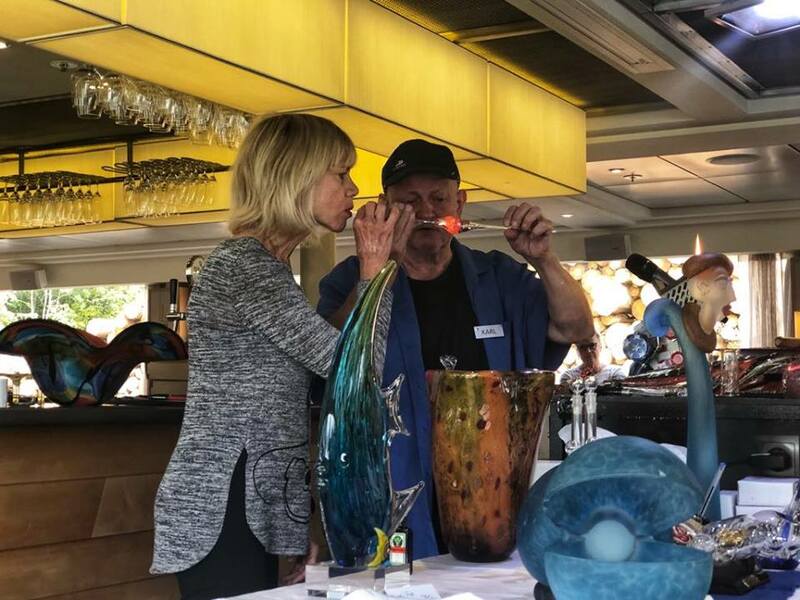 Karl Ittig, the world-renowned glassblower Viking presented that morning was no exception. That morning, by sheer good fortune, I was the one from the audience randomly selected to participate in the glass blowing demonstration. I assisted with making a colorful Christmas ornament, which turned out lovely, and I even got to keep it as a souvenir! What an amazing surprise. Karl Ittig brought a large quantity of blown glass of all shapes, sizes, and colors for us to purchase if we wanted. It was all so fabulous and of course, there was something that pleased just about every guest there. What a great way to spend the morning. 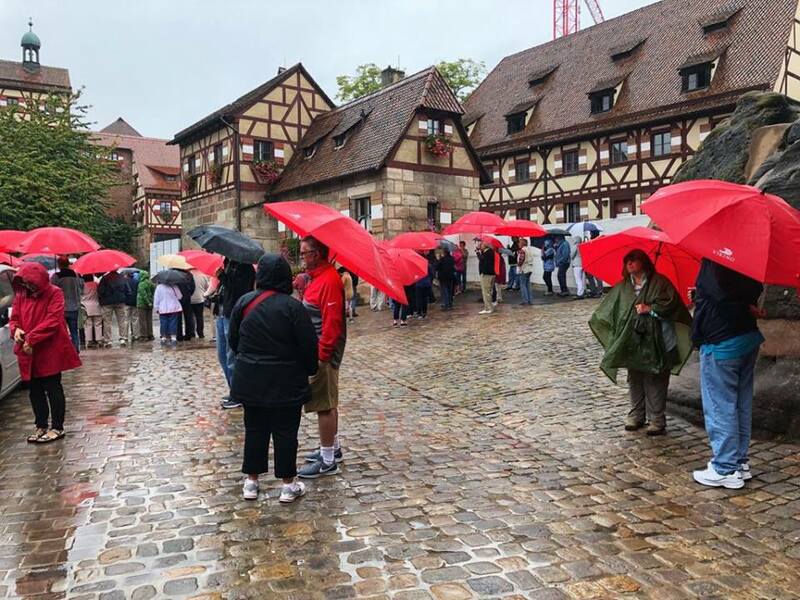 After lunch, we were ready for our included shore excursion: Bamberg Walking Tour. 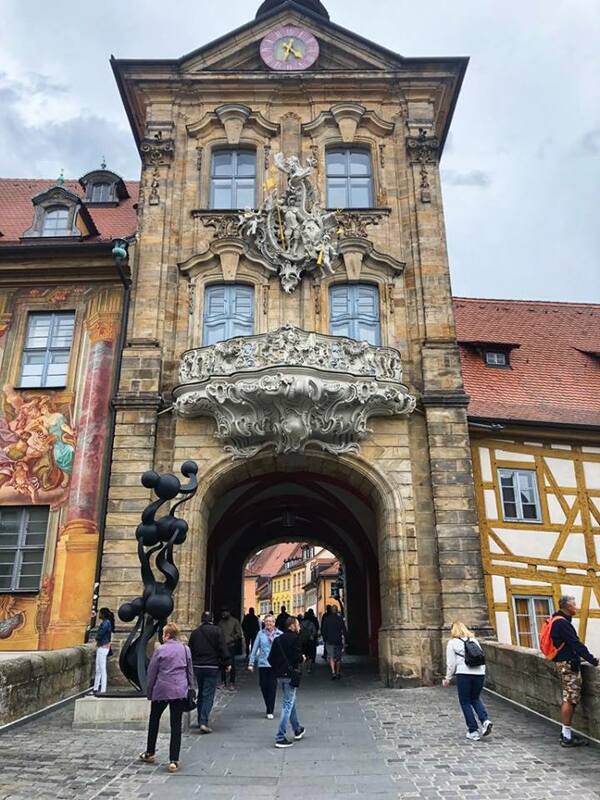 We grabbed our cards from the reception desk, boarded our motorcoach, and off we went into Bamberg’s old town where we met our guide. 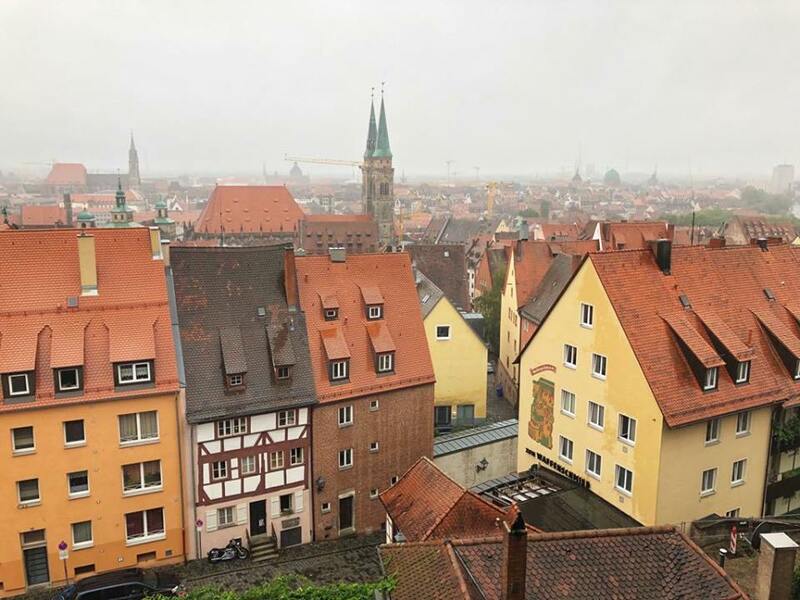 Bamberg was one of the few German cities not destroyed by bombing during WWII. Hitler held the Bamberg Conference there in an attempt to foster unity within the young Nazi party. Bamberg has a very large Old Town, and it was just as I thought medieval Germany would have looked like! 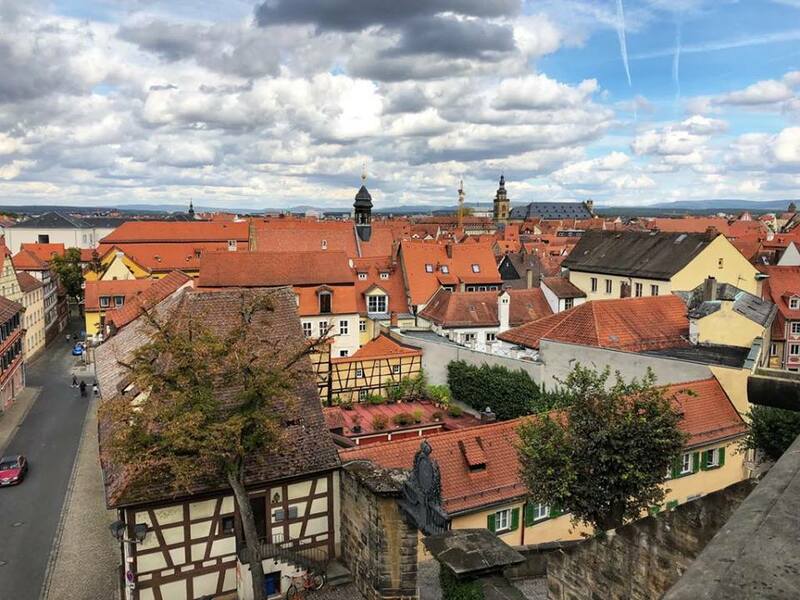 Bamberg was awarded the honor of being a UNESCO World Heritage site in 1993: for her “outstanding universal value,” a site that belongs to all the peoples of the world. Bamberg is built on 7 hills each topped by a beautiful church. In every direction, you see beautiful steeples. We toured Bamberg cathedral which exposed me to Romanesque architecture. It was massive and very inspiring. The unique city hall was built on a tiny piece of land in the middle of 2 rivers. Very charming and interesting. Bamberg is known for its distinctive Rauchbier or smoky beer. Many in our group sampled it, but I’m no beer drinker so I passed. All too soon, we boarded our motorcoach for the ride back to the Baldur. Some villages we visited during our Viking Grand European Tour were not directly adjacent to where we docked the boat, and we needed to be transported. In those cases, Viking provided a local guide to narrate for us the sights we passed along the way. When we arrived at our destination, another local guide on the ground met us for the city tour. We were never unattended as there was always something interesting to see or question to ask. Once back on the Baldur, everyone was very interested in the specific instructions we would receive from Tessa at the evening port talk, about tomorrow’s transfer to the Viking Magni. Our luggage was to be left outside our door by 8:00 AM. the next morning. (Not too early!) We would travel by motorcoach as scheduled to Nuremberg, our next scheduled stop. Viking had scheduled lunch for us in an authentic German Inn, and after lunch, we would travel by motorcoach to the Magni, waiting for us in Passau, Germany. All guests were saddened to be leaving their beloved Baldur and her staff, but we all understood the low water levels were an act of God and not in Viking’s control. How could we be angry? After dinner, we went to the lounge to dance and bid a farewell to the Baldur staff. 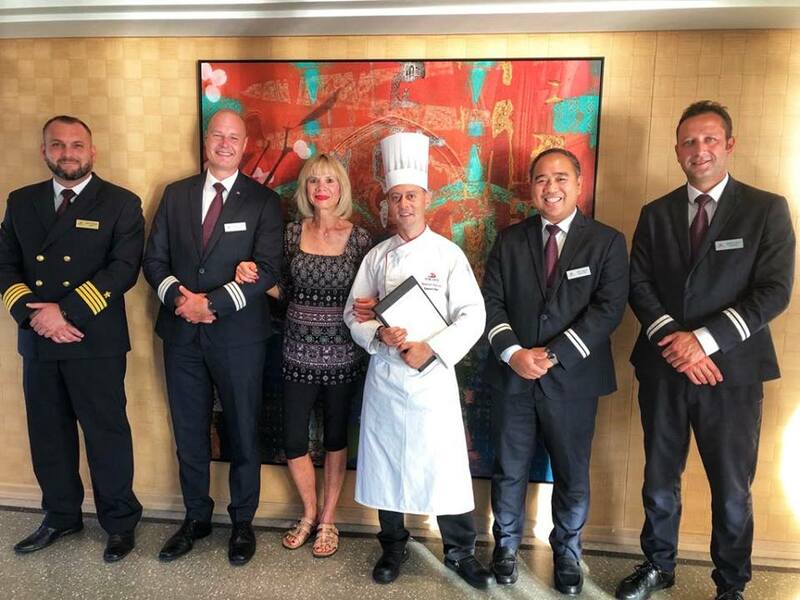 They treated us so kindly and every single one of them went above and beyond to ensure we had a great experience during our Viking Grand European Tour. They felt like family! There was always a party in the lounge. This evening we were celebrating Morgan’s birthday, and saying goodbye to the Baldur staff. 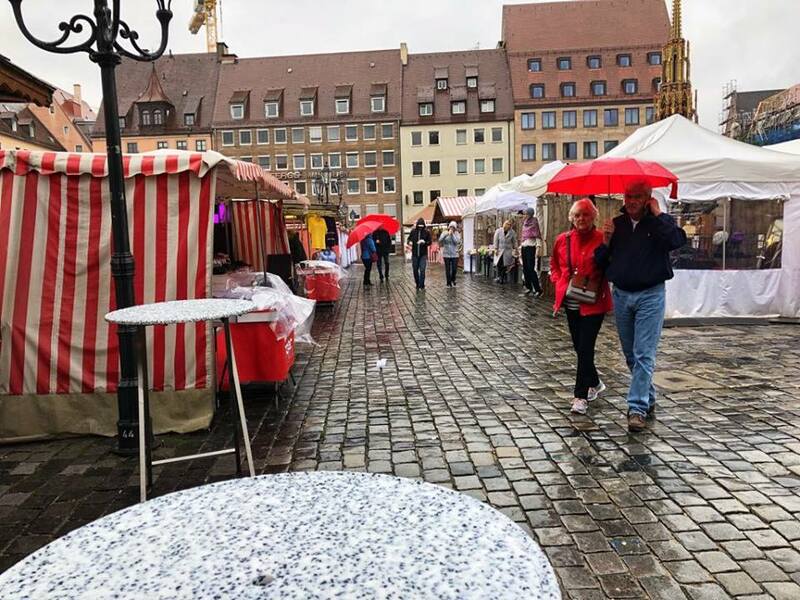 It was our first cold, rainy, dreary day and that began with a narrated coach ride through Nuremberg as we headed to the “old town” inside the city walls. We stopped at Zeppelin Field where Hitler held the infamous Nazi rallies and the Palace of Justice, where the post-war Nuremberg Trials were held. It was heartbreaking and inspiring at the same time. 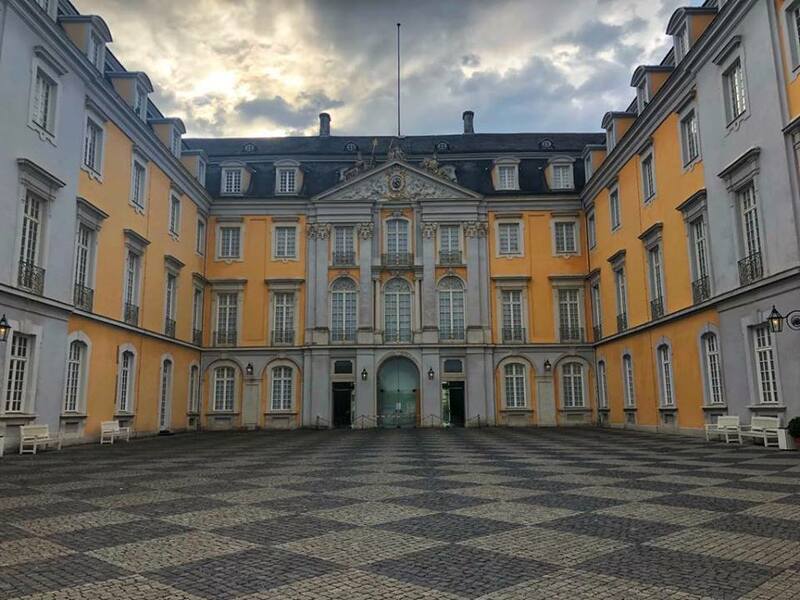 When we reached medieval Altstadt (Old Town), we headed up to the Imperial Palace, one of Europe’s greatest fortresses. Sweeping views of Nuremberg were there before us, and along the way, our local guide explained about the Imperial Palace- not built for royalty but for protection. The cobblestone streets added to the charm. At the Imperial Palace in Nuremberg. So convenient that umbrellas were provided for us during our Viking Grand European River Tour. When the guided tour was concluded we were at the city center which was hosting a herb market in the square. We had free time to wander about the square but being it was a Sunday, shops were closed due to German law. There was still much to see and the square was filled with stalls of vendors selling all sorts of wonderful and unique items. We were to meet Tessa at noon at the Beautiful Fountain, aptly named, because it was simply an amazing tribute to Gothic architecture, right out in the square. The fountain was formed in the shape of a church spire and had 40 colorful figures adorning it. There were 2 brass rings embedded in the fence opposite one another. Legend has it, spinning the gold ring three times will bring good fortune. Yes, of course we spun! 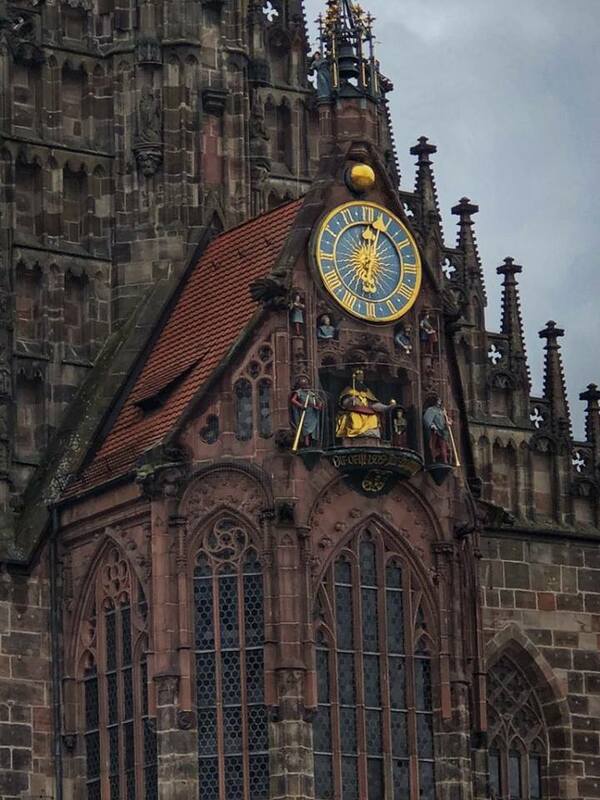 For me, the highlight of the morning and wandering the Nuremberg Market Square and spinning the gold rings, was at noon when the bells of the Cathedral of the Church of Our Lady rang loudly, and her glockenspiel high above began to move. The Mannleinlaufen or mechanical clock was activated at midday by the bells. A drummer and trumpeters process around the Holy Roman Emperor figure as well as other figures. It was definitely a memorable moment during our Viking Grand European Tour. We then headed to a lovely and authentic German restaurant for lunch. A delicious vegan meal was made especially for me, and it was delicious, especially the German potato salad which was made with vinegar instead of mayonnaise. After lunch, we headed to our Viking motor coaches and the 3-hour drive which would take us to our new ship, the Viking Magni. Each coach had its own local guide to accompany it and narrate the sights along the way. Halfway through, we stopped for a bathroom break and to stretch our legs at a gas station that sold soft drinks and snacks. Soon enough we were back on the road again and before we knew it we reached Passau, Germany and our new ship to continue our Viking Grand European Tour. The staff of the Viking Magni was waiting with welcome arms for us, and we felt very much reassured when we met them. There was enough time to visit our new stateroom (same room number,) and see that all of our luggage had arrived before us. After freshening up, we headed up to the lounge for cocktail hour and Tessa’a port talk. 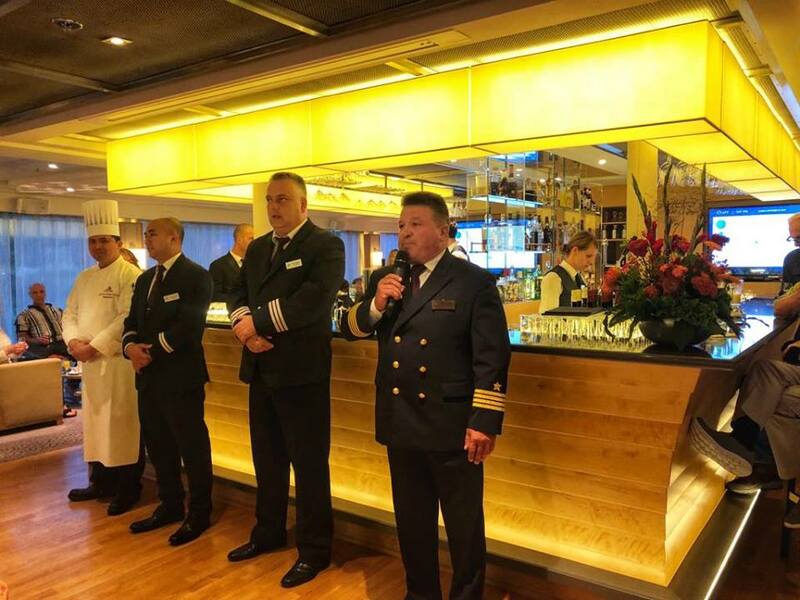 When she was finished, we were officially welcomed to the ship by the officers with a champagne toast! After dinner, we headed to the lounge for a nightcap and to check out the new duo who would be playing music for us during the second week of our Viking Grand European Tour. 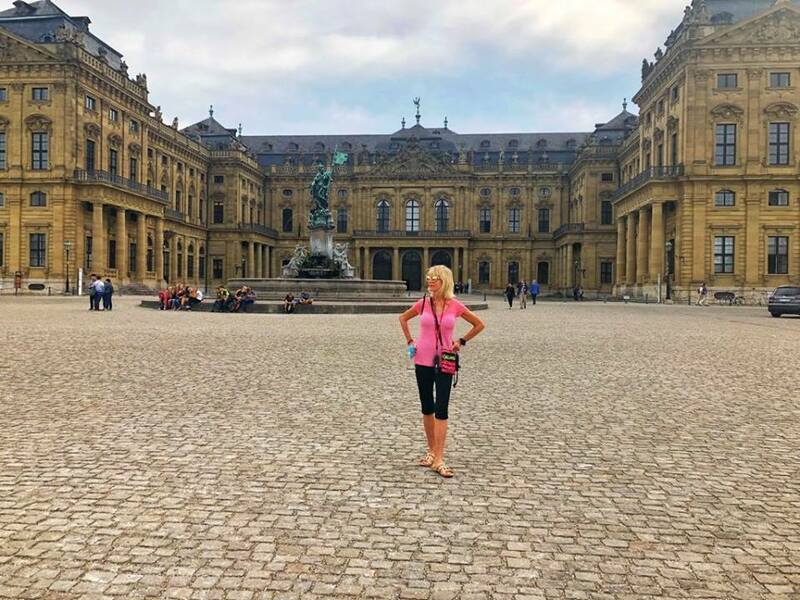 Read next: Viking River Cruise’s Grand European Tour Highlights, Part 2. 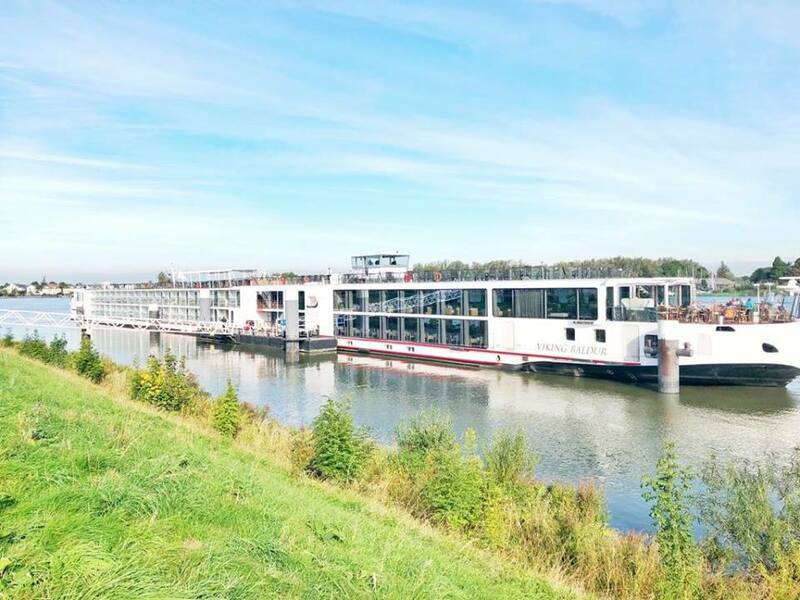 Have you ever been on a Viking river cruise? Which one and please share some highlights of your trip in the comments section below. Are you dreaming of taking a European river cruise and have some questions? Please ask away in the comments section below. 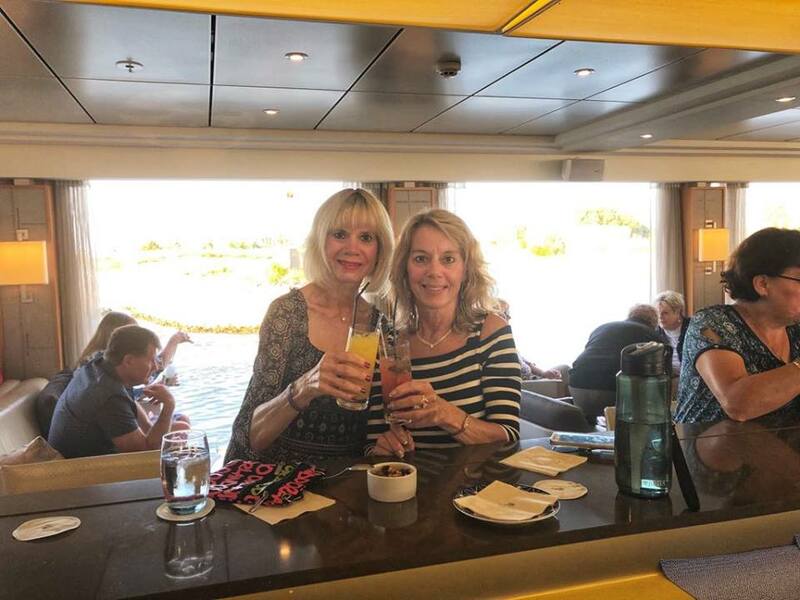 Please note: I was provided with a complimentary Viking Grand European Tour cruise for myself and a guest, and a stipend, as an opportunity through Viking Cruises for the purpose of this honest review. All opinions are my own. This is awsome. Great job. Your descriptions and photos inspire me to sign up and go enjoy. Thank you. Thank you, Christine. I can def tell you if you went on a Viking cruise, you won’t be disappointed. Check them out. First class all the way. I love your details. Looks like a fabulous trip with your sweet sister. I wouldn’t be able to keep up with you gals. I am putting this trip on my bucket list. Oh Elane! You guys would be out there right next to us! What we really did appreciate tho was how we were able to schedule our days, to be as busy or free as we wanted. The ship was so lovely we didn’t mind spending rest time aboard it. Hope you check it out someday! Sissy, your very articulate writing coupled with your fabulous pictures are a true account of our experiences! A once in a lifetime “first” for us! Reading your blog brought back such fond memories! Thank you for that….. And for the wonderful and awesome trip we had! Viking definitely knocked it out of the park!!! We made friends from all over the world! Many will be friends for the rest of our lives! Thank you for the time of a lifetime Linny!!!! Robyne – yes it was the trip of a lifetime. And I’m very glad we experienced it together. Linda this was such an interesting review! This would be a fabulous cruise to do someday. Do you think the crowd is mostly age 50+? Michelle. Yes. 50s and 60s. Most very active. And lots of 70s. We loved all ages. Everyone had an interesting story to tell. 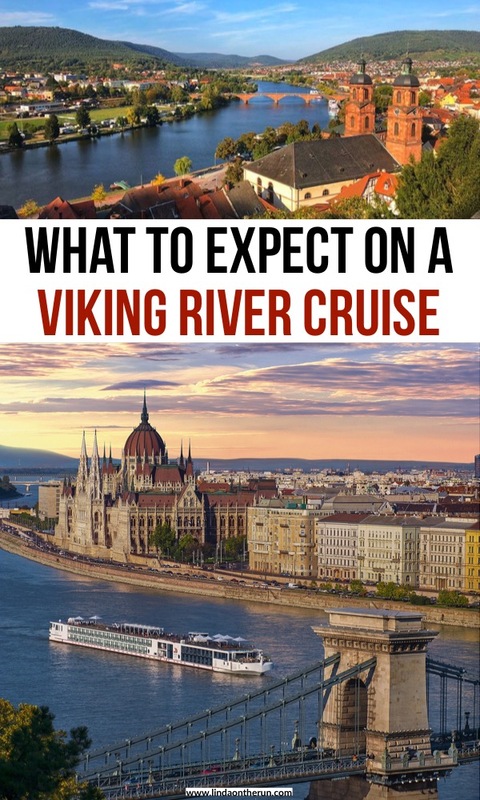 Been wondering about a Viking River Cruise. Photos are great. Helpful to know that the excursions are free of charge. Not been true on many cruises. Sue, Viking offered a free excursion everyday on our cruise. It was def nice as ALL were fantastic. Sounds really cool! I’ve nrver been on an actual cruise but I love Germany so stopping at all these awesome german towns sounds like a perfect week! Sarah, I’d never been to Germany before, so visiting so many different cities was absolutely fantastic. River cruising is the way to go! Me too Bree. I love you can unpack once and that’s it. No lugging suitcases in and out of car/bus to hotel after hotel. Have fun on your next river cruise! 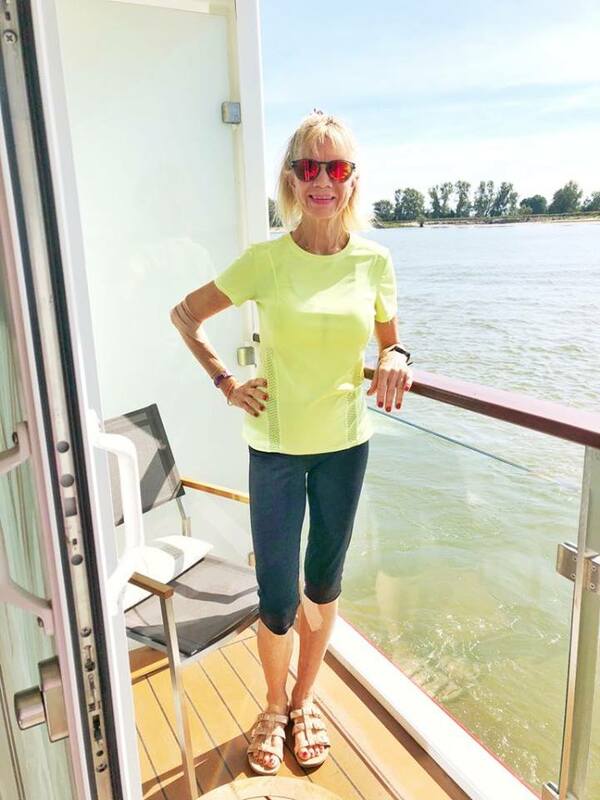 Not been on a Viking Cruise but we did a cycle cruise with our teens, cycling along the banks of the Danube during the day which whetted our appetite for more. There were tons of cyclists in Europe that we saw. Matter of fact, there were cycling paths the entire time from Amsterdam to Budapest. I bet you had a blast doing that trip with your kids. LInda!! What a great job! And I so want to go on a Viking Cruise now. I’ve already emailed your story to my best friend, Marg and she would love to go with me. 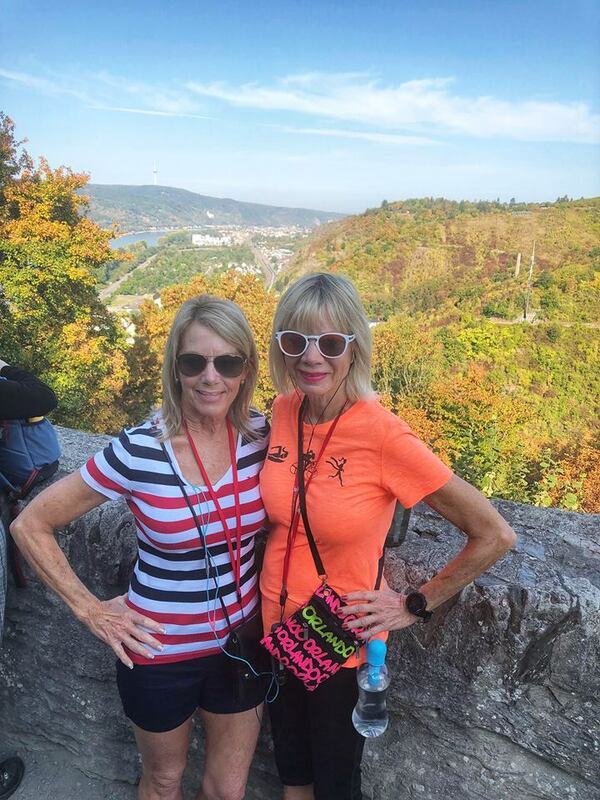 Marg and I both lived in Heidelberg, Germany, (our fathers were stationed there in the 60’s) so it was so exciting to relive some of the places that we had visited as young teenagers. I’ve been “drinking” in all of your comments and pictures (while at work when I can sit at the computer and take my time in between working/taking calls). Awww thank you Gina. I know you and Marg would have a great time on a river cruise! My daughter and I are going on this VRC this summer. Your comments and photos were so helpful. Do you know if I can use my own Bluetooth headphones with the QuietVox? Oh I am so excited for you. If you have not been spoiled by Viking yet, get ready for the time of your life. Not sure about using your own Bluetooth headphones. The headphones used were nothing special and not associated or necessarily compatible w/QuietVox, but I’d say maybe. Best thing to do is ask once you arrive on board. Guess what? I’m jelly! Thank you for your prompt reply. I think I’ll check next with my VCR rep.